Tel Ḥadid (el-Hadita) lies upon a hill at the eastern edge of the Lod Valley. The tell covers a 10-a. (40-dunam) area and has a commanding view over its surroundings. 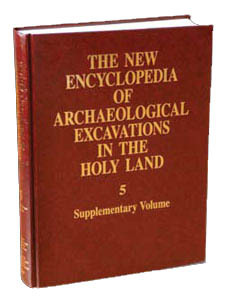 The site is identified with biblical Ḥadid, mentioned together with Lod and Ono in a list of places settled by returnees from the Babylonian Exile ( Ezra 2:33 ). During the Second Temple period, it is mentioned as a settlement in the territory of the city of Lod that was fortified by Simeon the Hasmonean ( 1 Macc. 12:38 ). Josephus notes that during the days of the First Jewish Revolt against Rome, a Roman garrison was located at the city (Antiq. 13, 5–6; 2; War 4, 9, 1). It is also mentioned by Eusebius and appears on the Medeba map. Eshtori Hafarhi identified the site with Ḥadid, writing: “Ḥadid is at the top of a round hill east of Lod, some two hours from Lod and they call it Hadta” (Caftor vaferah 1959: 11, 48). Because of its location, the city controlled the road to Jerusalem and was thus regarded as a site of strategic significance by occupying armies. In 1940, following reports by local inhabitants, Y. Ory found remains of a structure with a mosaic floor in the southeastern part of the tell. In the framework of the Archaeological Survey of Israel (Map of Lod), rock-cut olive-oil presses, cisterns, and arcosolia tombs were reported in the vicinity of the tell. Iron Age I and II, Persian, Hellenistic, Roman-Byzantine, Early Islamic, and Ottoman sherds were recorded.